The total gross state domestic product (GSDP) of Karnataka was about 115.86 billion in 2014-15, at current prices. GSDP grew at a CAGR of 8.62 per cent between 2004-05 and 2014-15. The GSDP of the state grew at a Compound annual growth rate (CAGR) of 12.04 per cent between 2004-05 and 2014-15. In 2014-15, the state contributed 5.68 per cent to the GSDP of India in 2014-15. 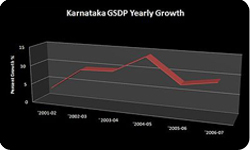 The economy of Karnataka is mainly service based, with service sector’s share in GSDP at 60.66 per cent in 2014-15. This is followed by secondary sector at 24.63 per cent and primary sector at 14.71 per cent. The tertiary sector of Karnataka’s economy rose at a CAGR of 13.99 per cent between 2004-05 and 2014-15, faster than other two sectors. While the secondary sector registered a CAGR of 10.17 per cent between 2004-05 and 2014-15, the primary sector grew at a CAGR of 8.72 per cent between the same period. Even though the share of agriculture and allied sectors in State’s GSDP is just 17 per cent, they continue to employ some 55 per cent of the total workforce of the state. 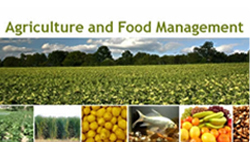 Allied activities such as fishery, horticulture, sericulture, poultry, animal husbandry and dairy are important sources of income for the people. As of 2009-10, total cropped area in Karnataka was 128.73 lakh hectares, which account for 66 per cent of the total geographical area of the state. Paddy and ragi are the main crops grown in the state. The State is also famous for production of sugarcane, coffee, coconut and cocoons. Karnataka accounts for about 71.3 per cent of India’s total coffee production. Coffee production of the state rose from 211,100 metric tonnes (MT) in 2013-14 to 233,230 MT in 2014-15. Floriculture is a big opportunity in Karnataka. The state is one of the leading producers of flowers which are exported from the state to the world. Karnataka comes lauded as the largest producer of spices, aromatic and medicinal plants in India. Even though horticulture crops are cultivated in 15 percent of the total cropped area of the state, its contribution to gross value of output of agricultural sector is more than 40 per cent. Karnataka is a leading state of the country when it comes to growth of industries particularly Engineering, IT and ITeS, Electronics and telecom, biotechnology, Aerospace, Automotive and nanotechnology. Karnataka serves as a manufacturing hub for some of the largest public sector units such as Hindustan Aeronautics Limited (HAL), Bharat Earth Movers Limited (BEML), Bharat Heavy Electricals Limited (BHEL), etc. Hindustan Aeronautics Limited (HAL) was set up in Bangalore in 1940. Today Karnataka produces more than 25 percent of India’s aircrafts and spacecrafts. Karnataka is home to some of the largest Multi-National Corporations, organsiations of the world. They are primarily concentrated in Bengaluru, Mysore and Mangalore. Other centers like Hubli-Dharwad, Gulbarga, Belagavi and Ramanagara are also attracting large businesses. Karnataka Udyog Mitra (KUM) is a single contact point for investors who intend to establish business in the state Karnataka. It provides information on various aspects such as land availability, coordination and statutory approvals. Karnataka has spearheaded India’s emergence as a important player in the global biotechnology industry. The state is home to one-ninety five of the total 340 biotech companies in India. With a 320-km natural coast line and a diverse flora and fauna, Karnataka is a unique land teeming with bustling cities, historical places, world heritage sites, temples and natural splendour. The state offers an array of attractions, and whether one is a history or archaeology enthusiast, city-lover keen on shopping, a religious person, there is something on offer for everyone. 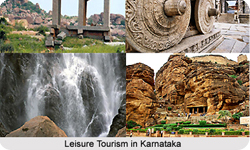 Karnataka ranks fouth among the Indian states when it comes to tourist arrivals in India. In 2014, 118.28 million domestic tourists and 0.5 million international tourists visited the state. Between 2005 and 2014, tourist arrivals in the state increased at a CAGR of 18.8 per cent. The share of tourism sector in the state’s GSDP is 14.8 per cent. The state plans to increase it to 26 per cent by 2020. Government plans to invest US$ 1.66 million for each of the cities of Vijayanagar and Mysore to develop as ideal tourism spots. Under the state budget for fiscal 2015-16, US$ 67.35 million has been allocated for the tourism department. Thanks to the presence of multi-specialty health centres in the state, Karnataka is the medical tourism hub of India. Karnataka represents wide variations in topography – high mountains, hills and long Home to a varied topography ranging from long coastal stretches along Arabian Sea to high hills, the state boasts five national parks and 26 wild life sanctuaries that make it a preferred destination for eco tourism. The state also attracts outdoor enthusiasts who come here to release their adventure pursuits by indulging in water rafting on the Kali river and aero sports at the Nandi hills. Karnataka is known for its vibrant auto industry with investments of about US$ 713 million and annual revenues of US$ 604 million. 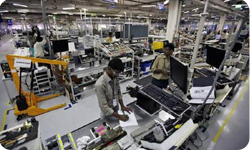 The state ranks fourth among Indian states in terms of automotive production. Bengaluru, Shimoga, Dharwad, Ramanagara, Kolar and Belgaum are the main locations for automotive industries in the state. 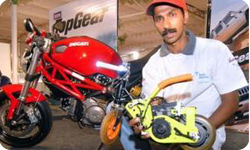 The automotive industry of Karnataka grew at a CAGR of 15 per cent between 2009 and 2014.